‘Thala’ Ajith’s fans were in for a huge disappointment a while back when it was announced the highly anticipated Viswasam had opted out of the Diwali race and was postponed for a Pongal 2019 release. 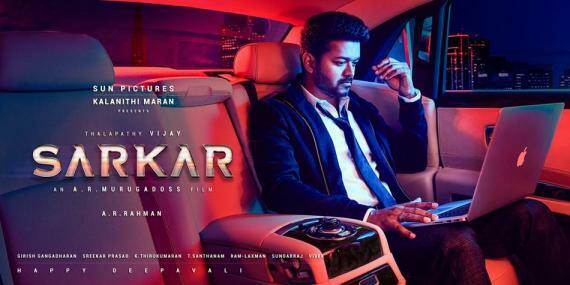 Up until yesterday (04.09.2018) evening, ‘Thalapathy’ Vijay’s Sarkar being directed by A. R. Murugadoss under the Sun Pictures banner with music by A. R. Rahman along with Keerthy Suresh and Varalaxmi Sarathkumar as the female leads was believed to be coming out as a solo release this Diwali in November. That changed when director Gautham Menon announced his long-delayed Enai Noki Paayum Thota starring Dhanush, Megha Akash, Sasikumar and Sunainaa would be hitting screens as a Diwali release. Very special thanks to @SasikumarDir for going out of his way to accommodate us. And of course the beautiful @akash_megha..
Now, a second competitor has entered the Diwali race and in the form of RK Suresh’s Billa Pandi, in which the producer turned actor will be seen playing the role of a die-hard ‘Thala’ Ajith fan. Starring Indhuja and Chandini Tamilarasan as the female lead alongside Thambi Ramaiah in a vital supporting role, Billa Pandi directed by Saravana Shakti under the Studio 9 banner with music by Ilaiyavan had a single track recently launched by Yuvan Shankar Raja. That said, Ajith fans, who have been showering quite a lot of support for Billa Pandi will lap up this opportunity to witness ‘Thala’ in some form or the other this Diwali.